What’s Himalayan Salt Stone Massage? We all love to be pampered, touched, relaxed and/or given a spa day. Nothing is more relaxing or rejuvinating than a Massage. With so many types of massages out there it can be a bit confusing and overwhelming to pick the right one. In a few blogs we will be explaining several of them and the benefits they bring to you. Let’s first start with Himalayan Salt Stone massage. 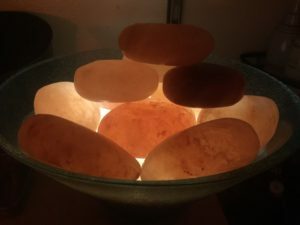 Himalayan salt stone massage is an innovative healing technique using salt crystals from an ancient primal sea beneath the Himalayan Mountains. Himalayan salt is characteristically pink and contains 84 naturally occurring minerals and elements. It has long been used for health and healing in Eastern traditions, with the West only recently embracing this health boosting form of halite. Emits negative ions when heated, delivering a myriad of health benefits – from higher mental alertness to protection against germs in the air. One more fantastic benefit is that the heat of the stones activates the Parasympathetic Nervous System. The Parasympathetic Nervous System is the “rest and digest” response. When the stones are applied to the body the heat sends a signal to the brain and turns off the stressful state of being and turns on the relaxation state of being. When we are able to rest and relax, we are able to rejuvenate. When we are rejuvenated, we are able to be the best version of ourselves. We are able to perform better physically and mentally and we are able to be calmer, happier and live a more vital life. With so many health benefits it’s certainly a massage to try and know that you will be getting a lot more than just pampering and relaxation. Book yours today at Luxe day Spa in Tampa. $125 Massage & Facial special! How about start the month of October with a massage & facial special? We are excited to welcome Rebekah & Breanne to the Luxe Day Spa Tampa team. Our newest additions to the Luxe family are offering a hour long facial and a 55 min Deep Tissue massage for only $125. Rebekah is able to provide her clients with a therapeutic touch, getting deeper into their muscles, but also providing them with a strong sense of relaxation. Rebekah master the technique of Deep Tissue, Cupping, Aromatherapy, Acupressure, Hot Himalayan Stone and reduction of Cellulite massages. 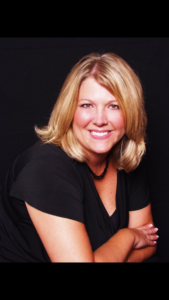 Breanne is a licensed Aesthetician, she enjoys working with her clients towards long term solutions for their skin care concerns, taking a holistic and also clinical approach to her work customizing each facial for her clients needs. Her favorite is acne and aging issues skin. So many benefits can be found and discovered with a massage and facial combo, not only the deep relaxation and well being, but also the healing and skin care benefits as: deep pore cleanse, exfoliation (promoting elimination of dead skin cells), reduction of stress, blood circulation, skin rejuvenation, detoxification, etc. Massage benefits are many as well, few of them are: stress relief, reduce anxiety, improvement of balance, help chronic neck pain, reduce pain of osteoarthritis, relieve tension headaches, easy symptoms of depression, improve cardiovascular health, lower blood pressure, increase range of motion, etc. Take advantage of this Massage and Facial special, save and get pampered the same time, your body and beautiful face will thank you. With the holidays coming soon, stress, shopping, entertaining and cleaning, nothing better then relax and distress with a massage and facial. Make your appointment now and guarantee your spot (813) 280-9917. Rebekah, massage therapist at Luxe Day Spa in Tampa. 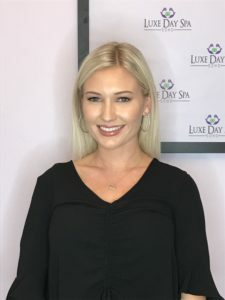 Breanne, Aesthetician at Luxe Day Spa in Tampa. Couples Massage and Facial is coming soon to Luxe day Spa in Tampa. Luxe Day Spa in Tampa will soon be offering couples packages for you and your partner. You and your loved one can enjoy a relaxing environment for a couple of hours in a beautiful candlelit room. A couples massage and facial may be Romantic or the perfect spa date for any occasion. What occasions might you ask? How about an anniversary, birthday, Valentine’s Day, Christmas, just because and/or because you love him/her. A massage and facial is a great idea for mom and daughter day. How about two girlfriends looking to escape and catch up while getting pampered to help relieve everyday stress? A couples massage and facial is the gift that will impress anyone showing how thoughtful and caring you are. You give the gift, the rest you can leave up to us. The facial is an amazing 55 minutes long customized for you and your date’s skin care. The massage is also 55 minutes with your option to choose from a Swedish or therapeutic massage. What are you waiting for? Contact Luxe Day Spa in Tampa today! We may be contacted by calling, emailing, messaging our website, yelp, facebook and even messaging us through google. Take a break from the stresses of life and reward your loved one with a day they won’t forget. You both deserve to treat yourselves to an amazing day, we look forward to hearing from you very soon. Regular facials and massages can add lots of health and mental benefits as described in many health and science journals. © Copyright 2019 Luxe Day Spa. All Rights Reserved. | Website by Siskey Productions.